A tragic incident is threatening to tear Suzanne’s world apart. Almost ready to give up, she finds herself on a journey, where she meets new people, who might help her to figure a way out of her misery. Fact is, once you figured out what this movie is about about after about five or ten minutes you might be a little shocked, because White Reindeer almost starts a little boring. What follows is a very odd and weird chain of events that don’t feel like Christmas at all, or would you say a woman wearing a strap-on gets you in the spirit? Probably in a different kind of spirit! I can say that I definitely felt the struggle and confusion Suzanne is going through and I wanted to see her getting better. Besides the rather abrupt ending I actually enjoyed the movie, because it was different. It showed a different perspective of Christmas; not everyone is lucky and happy around this time. The entire cast delivers a settle performance and convinces with their characters. 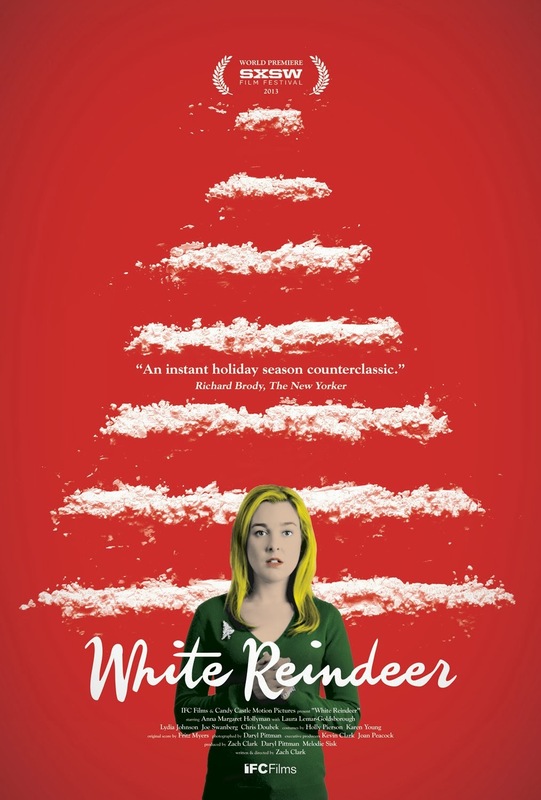 I am not sure if I would watch White Reindeer again, but I don’t feel like I have wasted time. So it is definitely worth a one time watch if you want to see something other than the usual Christmas movie treats. Why this movie is categorized as a dark comedy is a complete mystery to me. It’s a drama. I wouldn’t watch the trailer because I am pretty sure it gives away the surprise moments. Depressing. Sounds like a rubbish movie. But your review is great as always. Thank you so much, I am glad you enjoy my reviews, and yes, it is more on the depressing side. Sounds interesting. these days, i rarely watch trailers anymore. They tend to give too much away. wishing you the best in the coming year. cheers. Thank you so much, to me it was an interesting watch. It was different. I feel the same way, I am usually reading about it, and that’s about it. If I am very unsure about it, or the description doesn’t make sense to me, I sometimes watch the trailer. I wish you all the best, too!